2017 has seen a big technological progression in social media advertising. Video emerged as the top engagement format on all platforms, with Facebook and Snapchat being power houses in video content promotion, as Facebook prioritised video content reach over other formats and Snapchat introduced its advertising platform in the Middle East that took video content to another level. Chatbots also emerged towards the end of 2017 as a premier form of interactive one-on-one communication tools for brands on Facebook and Twitter. Despite economic uncertainty plaguing 2017 in Saudi Arabia, advertiser confidence was still strong on social media, as 2017 saw bigger spending trends on all social media platforms. Instagram was the highest spent platform, followed by the likes of Twitter, YouTube, Snapchat, Facebook and LinkedIn. As if 2017 wasn’t a clear enough sign, video is and will continue being one of the highest engaging content formats across all platforms. Video advertising has garnered up to 40% view rates that signal unprecedented retention and awareness of brand messages. 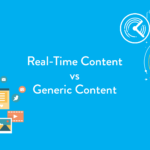 However, brands need to keep in mind that getting the right content for the right viewers is important rather than aimlessly spreading unrelatable content to a mass audience which will gather no long term following for such publishers. A good example of video use is on Gandour Best Bakes page that posts relevant video recipe content that appeals to its core audience as well as highlights its product use in a variety of ways. The page has managed to gain a relevant, growing audience within a short span of time, with the right mix of content and audience targeting. This adds even greater importance on brands to have always-on Facebook advertising strategy in order to keep itself prominent on the platform. Live videos have been a rage since the past two years, and with new advancements coming in on social media, live video is just going to get bigger for brands and advertisers. As per Facebook’s newsfeed change, personal content that encourages conversations will get prioritized. Live videos have the highest amount of conversations (and engagement overall) due to their timely nature. Live videos are also becoming heavily utilized on Instagram, and have been a prominent feature on Twitter and YouTube as well. There have been a lot of speculations in 2017 about Twitter’s engagement and active users declining in Saudi Arabia, which has been the most active market of Twitter users worldwide. 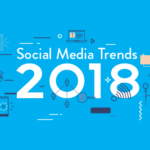 However, Twitter’s introduction of new tools for advertisers and users have proved that is still a very relevant advertising platform for the Saudi audience. Twitter’s scratch reels and new 3D visual content have increased engagement levels for brand content. In addition, the conversational ads with autoresponder and unlock features have enabled advertisers to interact and engage with their audience on Twitter at an unprecedented level. Finally, Twitter has outdone Facebook on the chatbots front with amazing interactivity features that make users coming back for more. 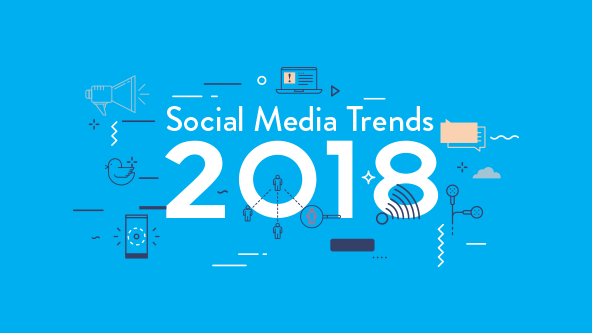 2018 is also going strong for Twitter with new advertising products being released in Q1 2018 and more exciting features in the pipeline that we are eagerly waiting to be announced. Twitter has announced new sponsorship features whereby advertisers can book pre-roll video ads as well as sponsored content across a list of Twitter partnered publishers in Saudi Arabia. The feature also allows advertisers to pick and choose which publisher(s) content they want their ads to be featured on, in order to reach a rich and relevant audience profile, right from the comfort of their own Twitter advertising dashboard. Chatbots have been in beta for a good part of 2017 and are now publicly available. 2018 still needs to see the growth of these chatbots, but their features look promising. So far, Facebook and Twitter have been the main advocates of these bots, where Facebook has integrated these in its messenger whilst Twitter users can access bots through DMs. Facebook chatbots are mainly beneficial for providing a good customer experience, with brands like Aramex using the bots to schedule deliveries and tracking shipments and Pizza Hut using bots to place orders without having to access external apps. Twitter, on the other hand, has taken their bots a step forward by enabling a holistic brand experience for users by enabling brands to allow its consumers to experience how the brand is suitable for them. Case in point: Patrón Tequila. Instagram has emerged as a vital advertising platform for brands over the past two years. 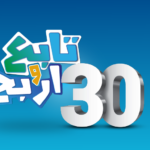 Not only does the platform boast visual treats that keep users engaged and coming back for more, it has a high mix of both Male and Female audience in Saudi Arabia as opposed to other platforms. Instagram has almost 2x engagement rates than Facebook and Twitter owing to the purely visual nature of the platform. In addition, users claim that they appreciate the simple interface of Instagram and, where things are becoming more public on Instagram now like the other networks, its tighter moderation protects the users from being spammed to a great extent. 2017 saw the highest share of ad budgets spent on Instagram in the Saudi market, and 2018 will continue seeing advertising confidence in the platform. However, the same virtue that makes Instagram such a great visual platform also requires advertisers to keep native ad content in consideration to get the most out of the platform and the audiences that enjoy it.